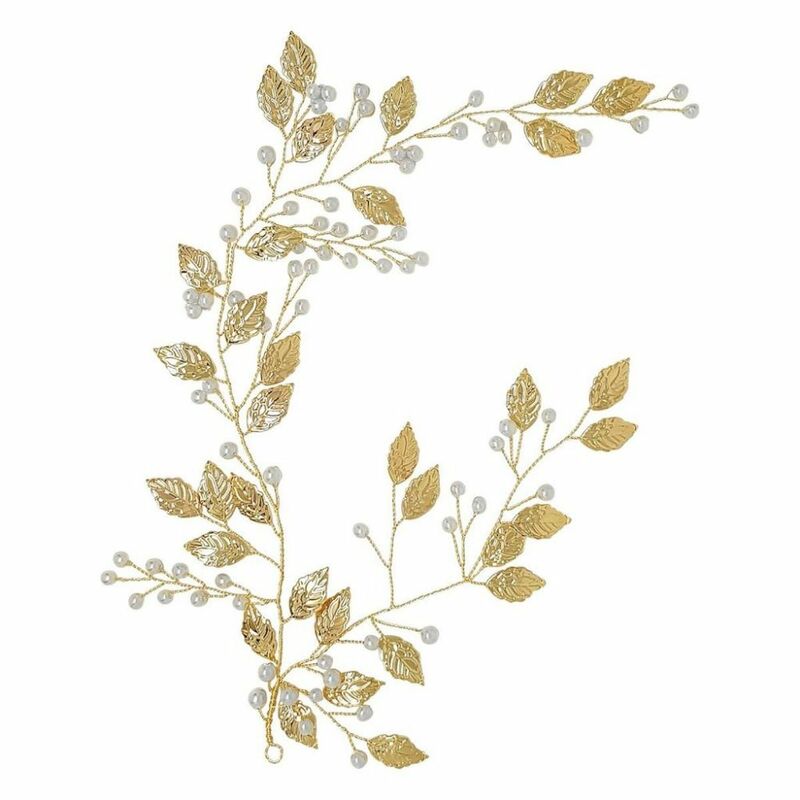 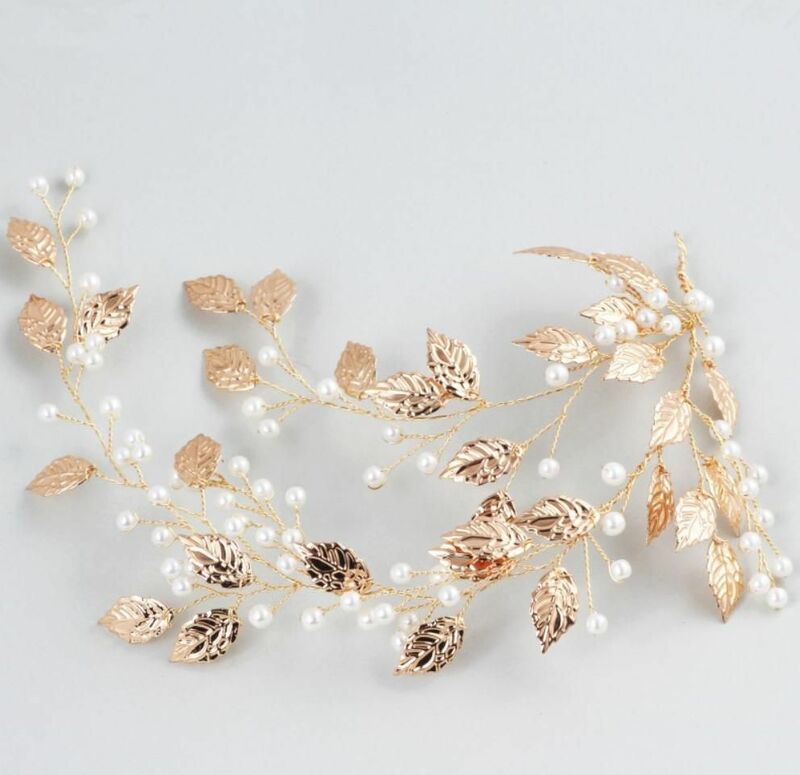 Strewn with glowing pearls and delicate gold leaves, this hair vine is both versatile and beautiful. 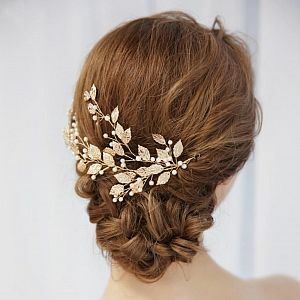 It can be placed at the back or side of the hair, or looks elegant embellishing an on-trend braid. 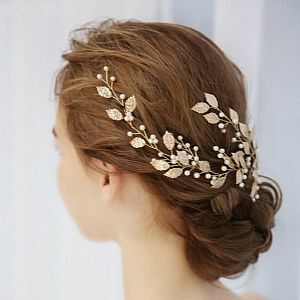 Definitely a headpiece with the wow-factor!